There is a significant difference in performance of iPhone 7 models A1660/A1661 and models A1778/A1784. IPhone 7 models A1660/A1661 are equipped with Qualcomm Modem while the models A1778/A1784 are equipped with Intel modem. This results in a significant difference in performance of both the categories. 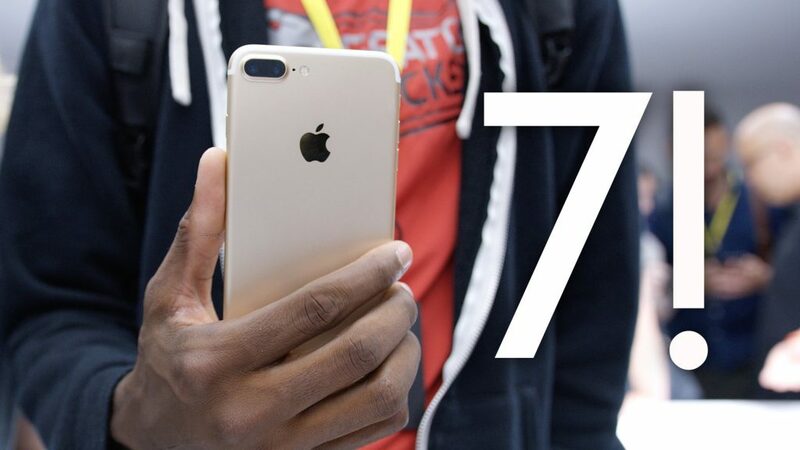 Earlier we discussed various models of iPhone 7 / 7 Plus and discussed their differences in terms of technology. This technological difference is due to the difference in hardware components of these models. Today in this post we will discuss the impact of this hardware difference on the performance of different iPhone models. Basically, the model number you have tells you what hardware component you have in your iPhone 7 / 7Plus model. If you own an iPhone 7 A1660 or 7 Plus A1661, then you have the model equipped with Qualcomm MDM9645M modem. 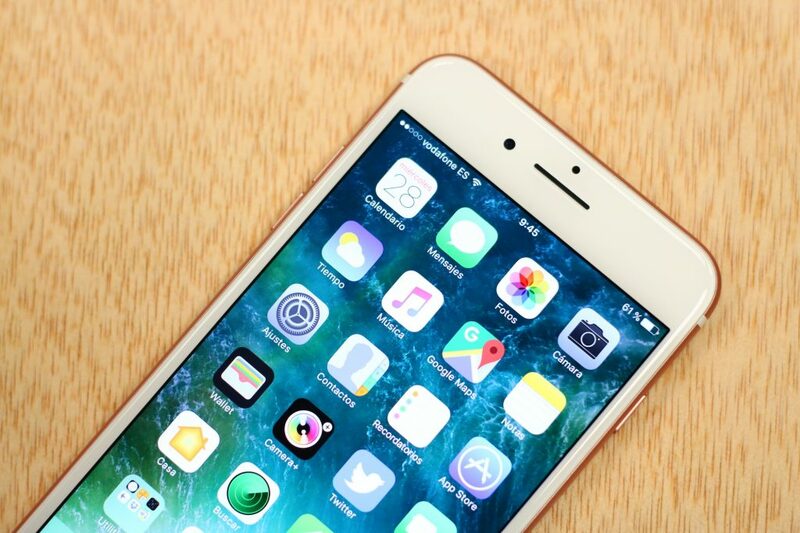 On the other hand, if you have the iPhone 7 A1778 or 7 Plus A1784, you’ve got the model with Intel XMM7360 modem. IPhone 7 / 7 Plus models A1660/A1661 are the global variants because they are equipped with Qualcomm modem. Qualcomm modem is more comprehensive as compared to the Intel variant A1778/A1784. iPhone 7 / 7 Plus models with Qualcomm modem work on any carrier throughout US including T-Mobile, AT&T, Verizon, and Sprint. Similarly, models A1660/A1661 support all the available networks GSM / CDMA / WCDMA / TD-SCDMA / LTE. If you’re an avid traveler and need to frequently venture out of US, you can still choose A1661/A1661 as it’s the iPhone 7 / 7 Plus model that gets the unlocked Sim-free version from Apple Store. 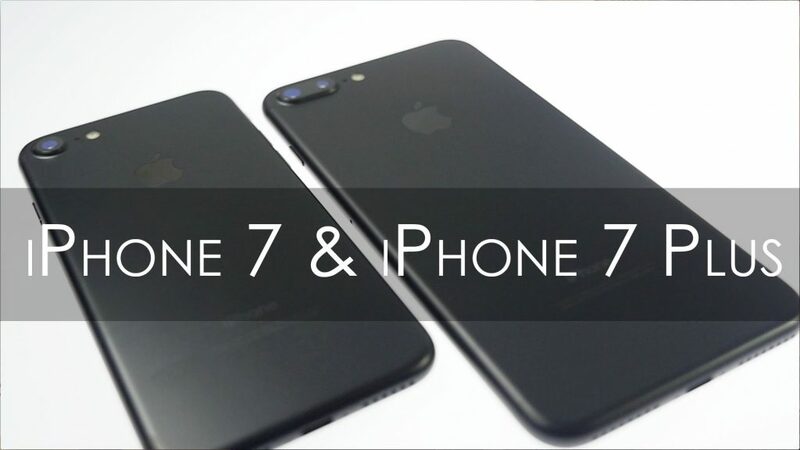 The differences in iPhone 7 / 7 Plus are not just the carrier or coverage only. There is a significant performance difference between the models A1660/A1661 Qualcomm ones and A1778/A1784 Intel ones. There is interesting testing data put forward by Cellular Insights that reveals this performance difference in a comprehensive way. The test is conducted by comparing the 4G LTE performance of the Qualcomm equipped models vs Intel equipped ones on band 12 (10MHz), Band 4 (20MHz), and Band 7 (20MHz). The results are striking and to summarize, the average performance of Qualcomm modem was figured to be 30% better as compared to the Intel one. But we will discuss these results in detail and discuss how these results can and should affect your buying choice. So before you jump on any conclusion, let’s see what the results are and what you can infer from them. The data put forward to study the performance difference between the Qualcomm powered iPhone 7 / 7 Plus A1660/A1661 and Intel-powered iPhone 7 / 7 Plus A1778/A1784 tests the LTE throughput for both models. 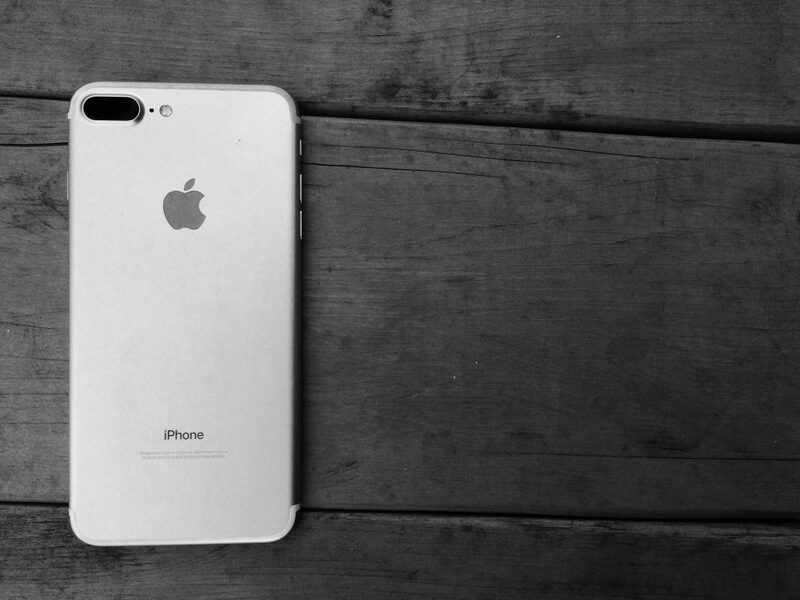 The study compares the data acquired at different power levels for both the iPhone 7 Plus versions. At cell center both the Qualcomm version and the Intel version achieved the maximum level of sustained data throughput and showed no significant difference. However, as the power levels were reduced the data for both the versions started to deviate. At the edge of cell scenarios, the Qualcomm versions A1660/A1661 showed considerably better throughput as compared to the Intel counterpart. The iPhone 7 / 7 Plus model variants were tested on Band 12 (10 MHz) which is a low energy band. This energy band can penetrate walls and propagate farther as compared to high frequency bands. This is the band that’s enables you to use LTE inside buildings. The data obtained for both the basebands was plotted on a single graph to show the difference in performance in a controlled environment test. The throughput for Intel variant XMM7360 dropped tangentially as soon as the power levels reduced. It became significant at around -108 dBm. You may know that Qualcomm’s MDM9645M modem has Ultra HD Voice capability. Ultra HD Voice means it is equipped with Enhanced Voice Services codec ( EVS ). EVS improves the audio quality over cellular connections compared to none and is one of the most powerful features of Qualcomm modem. But Apple has disabled the Ultra HD Voice feature in its Qualcomm powered models A1660/A1661. This might be an effort by Apple to keep its Intel-powered models A1778/A1884 still a contestant in market and not look too overshadowed by the ones with Qualcomm modem. Improved audio quality even when signals are weak. This considerably decreases the rate of dropped calls in low coverage areas. EVS uses a broader audio frequency that results in a richer audio experience with higher fidelity even than the HD voice. The irony is that iPhone 7 / 7 Plus models A1778/A1784 with Intel modem are being supplied to the T-Mobile customers. While T-Mobile provide EVS to their customers, the iPhone 7 / 7 Plus models do not have the hardware capability to support EVS due to Intel modem. At the moment LG G5 and Samsung Galaxy S7 are the only T-Mobile-compatible phones that support EVS. As a T-Mobile customer you ought to know that there isn’t any other carrier service that supports Ultra HD Voice anyway. Interesting to note is that while T-Mobile carrier service supports EVS, the iPhone models for AT&T and T-Mobile cannot do so due to hardware limitations. On the other hand, the Qualcomm model that has the hardware ability to support EVS is not compatible with T-Mobile carrier and other carriers do not support EVS. Thus, we come to the biggest difference between iPhone 7 / 7 Plus Qualcomm powered models A1660/A1661 and Intel powered models A1778/A1784. The performance difference between Qualcomm versions and Intel version is significant. As discussed above Qualcomm-powered modem clearly has a significant performance edge over the Intel one. Apple had to take this decision to broaden its coverage and diversify its supply chain. But as a result a significant performance gap has been created. However, of note is the fact that the tests like the one described in this article are controlled tests. The results of controlled tests are often different from those in real world scenarios. While the test results are interesting from a technical point of view, in real world usage this performance difference dwindles down significantly. Another interesting point to note is that Qualcomm-powered models of iPhone 7 / 7 Plus are being sold only in Japan, China and US. The Intel version is being sold everywhere else and this means that Apple found the results satisfactory enough for the larger world. That being said, we would recommend you to buy iPhone 7 model A1660/A1661 with Qualcomm modem if you’re in the country where it’s being sold and you’re buying your iPhone 7 for full price. You can get a Verizon/Sprint or SIM-free version for better performance and almost global coverage for US and abroad.